Hibs have signed Dan Carmichael from Queen of the South. Carmichael becomes Hibs third signing this week as Alan Stubbs looks to build a squad capable of winning promotion next season as champions. Fraser Fyvie and Keating joined the club yesterday and last week, new captain David Gray extended his contract. The 24 year old winger told the club website: “I’m delighted about the move and really excited about the future here with Hibernian. “I enjoyed some memorable experiences at Queen of the South and now I can’t wait to start the next chapter of my career at Hibernian. “I’m looking forward to joining up with the squad for the start of pre-season and working with the manager. Head Coach Alan Stubbs said: “We’re delighted to be able to sign Dan – he gives us more attacking options and adds pace to the team in a number of positions. “Every time I’ve seen him play, I’ve been impressed by him; he is an exciting winger – direct, quick and clever. 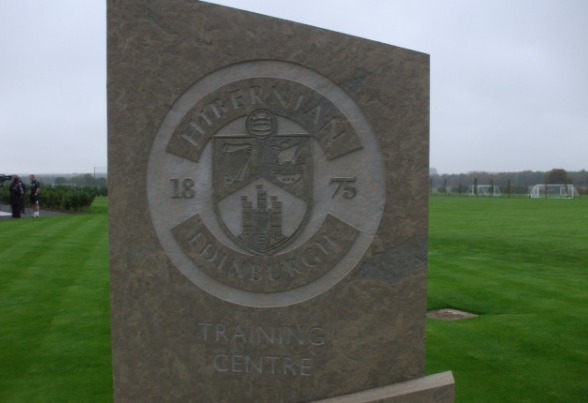 Head of Football Operations George Craig thanked said: “HSL have played a pivotal role in helping the club to activate our player recruitment plans as quickly as possible. “The funding generated by HSL, season ticket sales and shares has enabled us to be in a really strong position at this stage in the summer. Chief Executive Leeann Dempster said: “This signing demonstrates our commitment to providing Alan with the resources he needs to continue the development of his squad for the coming campaign. “We are able to do this in no small part because of the contributions made by HSL. The £100,000 contributed so far and the certainty of another £150,000 over the next 12 months have made a real difference in my being able to commit expenditure on players.